I’m sorry you missed this freebie, but please check more Free Samples currently available. 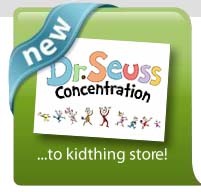 Have you downloaded your free Kidthing software? Look at all the free games and activities you can get to use. Kidthing is cool because there is no subscription fee for this kid-friendly digital books, games & activities platform for kids ages 3 to 10. Of course they do sell things, but I was amazed I could get all 17 of these downloads for absolutely free. Tell me what your kids think about Kidthing by leaving a comment. "In order to download your purchase you need to then go to your "Purchase History" and click on your order and then "Download All". "No, the download begins 30 seconds after you've clicked the final button in the "billing" section. Only if the downloads do not come fully over on their own do you use purchase history. You can watch the progress of the downloads by clicking the ladybug in the upper right corner. Thank you SO much for sharing this information. I had never heard about Kidthing! What an amazing product! My 1st grader will be SO happy! For those who don't see the add to cart. You need to download the program. install it, the open it. once signed up go to the shop tab in the PROGRAM and use these codes. This is wonderful! My son is playing the math basketball game right now and laughing while he's learning addition. Such a great freebie! Thank you for sharing this with us! I don't see a place to add to cart..very frustrating. I got the software to download but I could never get past the checkout to get the items I wanted. Kept saying the page I navigated to was unavailable. It was a neat idea but Im not gonna mess with it anymore. I went through adding it to my cart, signing up, and losing it all as well. But now a couple of the codes wont work. And it has only been minutes. I would set up an account first. I added everything then it asked to set one up and it lost my entire cart. This was time consuming but hopefully worth it. We just played Mathketball and the kids loved it! After nap time they'll get to play/learn/read some more :)Thanks a ton! Im LOVING this!! Thank you so much!! kidthing is super slow right now but this is great freebies, thanks! Are you on the list to be notified when it's available for Macs — so that those of us who have them can know? cannot find where you add to cart to do them all at once. I placed the free items in my cart and attempted to download them, but it just kept saying "Download scheduled" and then nothing. This happened if I selected Download All or the individual downloads. Has anyone else had this happen? Do you know what I should do to get the items to download? Thanks so much for posting these freebies. The previous freebies were books and my 4 year is just learning to read. She should get some more use out of kidthing with the games! Thanks again! The search tips don't provide all of the free items. There were many more available when I just searched through all the items they had to offer. I haven't played them yet but I'm looking forward to spending some time with my little one after nap today.